Oh OH! now do engineer and warrior! The downed Ele mist form should be on a longer cooldown similar to the warriors stand up downed skill. Revs hammer is hitting a bit too hard. Rangers pew-pew needs to be toned down and other longbow attacks improved to balance it out. Rangers Whirling Defense got over tuned. Warriors double invuln is a pain but their relative lack of range makes them fairly balanced. Holosmiths prior to the last patch were out of control but since the patch they are in a "good place". Both can drop a significant amount of knockdown/stun but all of it can be counter played. Holosmith - Why it's broken: Holo leap hits for 7k+, can stack and maintain 25 might easily with corona burst and elixirs, all it's skills have crazy power scaling and low cool down. How to fix: Transfer over the PvP nerfs to WvW. Soulbeast - Why it's broken: Sick'em gives the ranger a 40% damage buff which is far higher than any other buff in the game. Dolyak stance with permanent protection and second skin makes them take 54% less damage from everything for 33% of the fight while having very high mobility from the bird pet and exceptional boon duration from moa stance which is still only 25s CD. Longbow will easily hit for 4-5k+ on auto attacks without buffing, I've seen it hit for 17k+ and rapid fire likewise 40k+ while being unblockable. How to fix: Translate all PvP nerfs over to WvW. Reduce damage bonus of sick em. Reduce stacking damage buffs of ranger across the board then see how bad longbow is. Revenant - Why it's broken: Easy 25 might from incensed response. Surge of the mists can still knock off 50-90% of your health. How to fix: Translate over all PvP nerfs to WvW. So you've played thousands of hours yet still don't understand they barely balance for WvW and what little changes they do make are for large scale, not roaming. Then beyond that the actual real difference between PvP and roaming when it comes to balance is not a few skill splits, it is that the game mode itself - conquest is the thing that balances most of the stuff that is broken in WvW roaming like excessive mobility, stealth, etc. Which of course you can't bring over to WvW, so just accept that WvW is always going to be trash tier for PvP / balance, because guess what it hasn't changed in 6 years so is not going to magically change now. It's worse than that. The damage reduction from dolyak stance stacks additively with that of protection traited w/ second skin for 66% damage reduction (condi and direct). I tested it in WvW right after that patch hit. Yeah I was aware of it but hadn't checked if it was still bugged. Thanks for the update. No, CA having 10s CD so giving 30% stealth and superspeed uptime with Celestial Shadow was a problem in PvP and is still a problem in WvW. Ancient seeds likewise is still an issue in WvW and was an issue in PvP till they nerfed it. Nearly everything listed in the thread is an issue in PvP and an issue in small scale WvW because they are simply too strong. The fact is the devs have demonstrated that they're not capable of maintaining 3 different balance states. This isn't me taking a dump on them, they work hard to do what they do but they simply don't have the capacity to balance 3 different game modes and maintain the expansion cadence they have. The best thing they can do is unify competitive game mode balance, yes it will create problems in WvW but it will fix more than it will break given WvW allows food, stat combos, runes and sigils. This is meant as a discussion about what I and others find overly strong in certain builds and how we would fix it. This is mainly a meta discussion. Balance is related but a different discussion as is how ANet chooses to address changes in various game modes. My opinion on the balance subject is balance never exists in a game unless everyone plays exactly the same class/build with the same ping and rig. Pretty sure all these "Necro Roamers" are actually Reapers pressing F1, then 4 and hoping people die. You could change all of those and roaming in WvW will still be laughably imbalanced, because the game was designed around conquest and that is what provides the real balance to a lot of things that have always been completely imbalanced in WvW. Now the same classes / builds can still disengage easily in PvP, the difference is you get punished for it and your opponent gets rewarded for it, because they win / keep the capture point, you have been inefficient for the last X seconds and their team's score ticks along. No one is capable of balancing for 3 different game modes in a game like GW2, it is not possible without completely redesigning how the trait/skill/weapon systems work. But face it they don't try, anyone awake who for example watched the Twitch streams they did for the first year or so after balance patches or who watched Sacrx's video about alpha, knows pre-HoT the the game was virtually entirely balanced around their "e-sport". Then only when they decided to add raids to PvE with HoT did they also start balancing / designing for that, there has never been any serious attempt to balance WvW just the odd crumb and some lip service. Which to be fair is all that should be expected as mentioned previously it is not possible to balance 3 very different game modes (then different things within them like large scale vs roaming). Frankly you can't even balance for 2 modes, which is part of the reason why PvP in themepark MMORPGs has the reputation does. Lastly your changes listed above are an example of the problems they have, take CA for instance is the cooldown too short for roaming, possibly, however for guild raids / blobs no it isn't too short, something like Druid is already only mediocre at best in those situations. Too many people wanting to treat t-ball like major league baseball. If you're in WvW looking for balance and competition, you're doing it wrong. If you "know it's not balanced but want to see it less imbalanced", you don't know what you want and will be never be satisfied until they remove the expansions. Sometimes you have to make the best of what you have. When changes come that you disagree with, it'll be a lot less frustrating. Also in regards to the amulet system; I literally guarantee this would only make things worse. Do you think the amulet system will remove the ability to disengage at will? Do you think you'll stand a better chance 1vX? Do you think zergs won't be able to death ball everything? All it will do is drive players away and make everyone more squishy. Which isn't something you want in a place where a 1v1 or a 5v5 can very quickly turn in to a XvBlob. Roaming will be imbalanced even if you bring over PvP changes but at least a lot of the worst offenders will be toned down. High stealth DE is also being complained about in PvP so it's not like these things are exclusive to WvW. While Firebrand exists in it's current form giving so much simply for taking the line many other supports will find it extremely difficult to be included in a blob. Besides so long as druid is capable in a smaller scale fight there's no issue, not every spec has to be good in every situation so long as you can change what you run to be useful. Soulbeast brings exceptionally high focused unblockable ranged damage and can shut down any flanking ranged damage easily with stance share being gravy. The only reasonable change I see for this is to apply the pvp templates and armor/sigil/food restrictions on wvw. You can't balance a soulbeast in the current state of the game for wvw without removing things like "Diviner Armor". Soulbeast is so strong in many aspects of its existence, boon application, boon access, mobility, damage, damage modifiers, stealth access and all of those are connected to armor stats, sigils, runes and food. This problem applies to most builds that are considered too strong at the moment. You sure could rework that by rework all the classes with all the different builds. But we all know that won't happen. 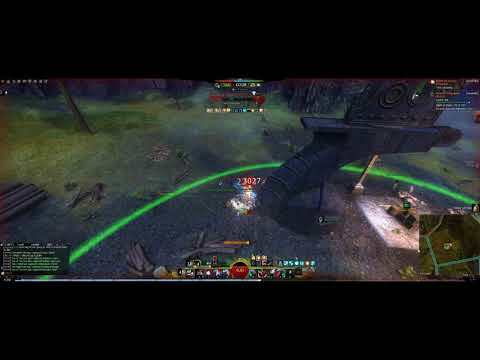 So let's go the smart way and use the pvp system on wvw. Limited to some armor stats, only some runes, no food. this is a pve game, so your suggestions will not be pushed through friend. The concept that every class should be able to beat every other class is not the issue. The concept that every class should be efficient in every style of WvW play (zergs, guilds, small scale, roaming, etc) is not the issue. What is the issue is that some builds are simply too efficient which makes countering them exceedingly difficult particularly in skilled hands. It is fine that builds should be able to escape, but that should come at the cost of offense. It is fine that some builds can rotate defensive skills so heavily they are extremely difficult to defeat, but their DPS should be abysmal. It is fine that some builds hit really hard, but they should have to give up defense and that also means limited stealth. What is not fine is when a build reaches an apex of offense and defense without having to sacrifice survival or damage. I keep saying this and agree fully, but just so you know to a few Baby Boomer style WvW vets here, what you just said is Anathema and will be shouted down. OR keep allies' 50% duration and make it 10 target. Companion's Defense and Rugged Growth: remove it from Wilderness survival. Add Rugged Growth effect to Beast mastery. Instead of natural healing; "When under the effect of swiftness, gain protection. Protection heals you and your pet". Evasive purity: Remove it from Nature magic. Split it and move it to Wilderness survival. Instead of actual Companion's defense: "Cleanse a (non) damaging condition on dodge". Instead of actual Rugged Growth, "Gain 3s regeneration when you cleanse a condition". Instead of Evasive Purity : "When you are under the effect of protection, share it to 5 allied target for 4-6s". Not sure about the second set of changes as I would have to look them all up and the trait interactions but the bolded first set are entirely reasonable (I keep an eye on those myself) and I think could be in both PvP and WvW. It's genuinely surprising to see a well formatted clearly thought out post that's toning something down in a modest amount to begin with while trying not to make it irrelevant. I disagree with the very conservative change to swoop. Rangers already have enough mobility and defensive tools without the extra merged mobility skills. Not only swoop needs to be totally reworked, but all pet merged skills need to have their mobility removed entirely. We don't need a hyper long range and hyper mobility class throwing the balance in the game hay-wire. The thing is the changes on offer are nerfs to strong skills but when added up the soulbeast loses a bit of damage, loses a bit of survivability off a few pets and builds as well as some utility that is allowing for a free lunch in perma boon access. If you had these kinds of changes brought to all classes can you honestly say you would know with 100% reliability exactly how it would affect inter class balance and build viability from meta to off meta/almost viable builds? I can't and even top PvP/WvW players it's not uncommon for them to have difficulty predicting it. you know those super glass pew pew soulbeast? they will lose 50 ferocity from the 1 set of changes, and sic em down from 40 to 25%. in return with the second set of changes they will gain perma protection+heal while protection in BM! if they do not run GS trait. thats a huge sustain boost. the only thing they then lack is condi remove, but with the new sigils. well you might not do 40k rapid fires but they will still hit ALOT, but now they will be much harder to kill. i am not sure if it would tone down boonbeast sustain as you now have more condi cleanse in WS and with the ability to take the new evasive purity with protective ward you also do not really lose on protection. maybe NM+BM would be the better way then tho, also better group support. i am very positive that these set of changes wont reduce complains about rangers a bit. Yeah that's why I said I wasn't sure about the second set as soulbeast already has a lot of sustain and I'd have to look at...yeah well the quote is there. Thanks for summarising the 2nd set of changes up. I wouldn't agree with them, soulbeast needs nerfs this round of balancing so I agree with the first set of nerfs if only because it's not too extreme but not the second set of changes. "Conservative" change to swoop is to provide an alternative to GS 3 (bird animation). Look more closely at my changes, i tweak down mobility on soulbeast when merged with Sic' Em and Pet's Prowess. I don't want an entire redesign or to kill a spec/class, i want balance by refocusing traits and utilities to open up build diversity while tuning down what is over performing. I just think that wilderness survival shouldn't give prot on dodge while having this much cleanse. I wanted to end up with either a soulbeast with high protection uptime but low cleanse OR high cleanse, low protection OR high cleanse + prot but low damage. Maybe Protective ward should be in Beast Mastery and my new trait in Nature magic. or swap your evasive purity(really needs other name with your changes) with invigorating bond so you cannot take both protection traits but still both support traits together. giving protection in anyway into beastmastery will make the most glassiest builds have access to it with little sacrifice. Mesmer and Warrior need nerf batting the most. Seriously, no one mentioned Confusing Images? I know Companion's defense + Rugged growth provide an altenative to Protective Ward while Evasive purity provide an alternative to Wilderness Survival and they are not that much out of place from a design/lore perspective. The thing is i want the break the bond there is between Wilderness Survival, Nature magic, and Second Skin that gives you protection + heal on dodge with a really good boon uptime allowing to tank power + condi damage while being able to cleanse your self from conditions because it makes sense to take lesser muddy terrain + Wilderness knowledge. THIS is what creates a boonbeast that can sustain so much while having enough pressure with high fury uptime + leader of the pack. I think it would be preferable if you could get Protection from an other source so when you stack up those 3 specializations, you don't end up with this much regen +prot +fury +cleanse. Instead of natural healing; "When under the effect of swiftness, gain 2s protection, 10s CD". Call it ??? while with the 10s cd and the healing part (is the healing pet part healing you aswell in beastmode?) now being in NM will nerf pure glasscannon sustain compared to the first set of changes, what about the other thing you know play an offensive boonbeast as the protection with your changes is cheap? so i would run a more or less berserk NM+BM+SB then with sword/horn for kiting and longbow for pew pew. 2s+3s every 10s from '???' + rugged growth & 4s+3s every 15s from protective ward+ rugged growth = 96,67% uptime protection. (values with 0 boonduration, add in the boonduration from NM minor trait and it will be 100% uptime). so basically just from getting hit and having swiftness i have 100% protection uptime - nice! this frees up alot of slots from the boon beast. i can now take sic em instead of moa stance, i can take an offensive rune and i do get some nice offensive stats from BM. what do i lose? well lesser muddy terrain (but i am mostly on range, would be stupid not to use the space you have in WvW as opposed to spvp) and some condi remove.for that we have in WvW a cleansing sigil that is superior to the spvp version by a factor of 3! i am almost certain the result will be overall cause more trouble than both the glass builds and boonbeast are now, as it will have a huge chunk of the good stuff from both builds. now if as i did say you swap rugged growth with invigorating bond, that drops the protection uptime to 50% without boonduration, getting it back up will cost me alot of slots i can use for damage in your above suggestion. I don't see how it's fun to play this game on any of the mentioned classes. The classes take you by the hand and carry you all the way down. You make a grave mistake? Don't need to care, your best buddy aka the build helps you out. You make another stupid mistake? Who cares, just try again, you have plenty of cooldowns that enable you to reset. It's really time to apply the pvp templates, delete all food and end this cancer. Would favor those that can adapt and the rest should really l2p. how can something be a mistake if it has no consequence with your build? common example: mirage dodge while stunned. now many claim a mirage has to be punished for the mistake of eating the stun. but all that happens is the mirage is stunned and cannot use some skills. to expect being able to get a free option to burst is just a mistake of the opponent. considering that soo many people nearly always follow up with a burst after a successful CC, it might actually be good play of the mirage to eat a stun to bait the burst so he can dodge it. and the things that are actual mistakes, are they grave mistakes? how is it fun to play a build that requires your opponent to have a suboptimal build or being bad enough for you to win? for a fight to be challanging and about skill, everyone has to play on a build with the same powerlevel. it is very hard to have a common powerlevel if everyone adds their own individual rules for what is 'ok' and what is not. while one doesnt like condi damage, other doesnt like power, one doesnt like tanky builds, the other doesnt like oneshot builds, one doesnt like range build, the other doesnt like mobile builds, another doesnt like stealth in any form and yet another doesnt like boons. trying to agree to a specific ruleset would cause an endless debate with no result. why not just: use whatever you want, what ever you deem strongest in the game, no rules? then everyone picks tools from the same pool and skill will matter again. the toolchoice will ofc be part of it. and if every one ends of on the same build ? so what ? it will much more likely cause anet to change whatever is the reason for it. I guess you are right, protective ward and my new rugged growth should both be Nature Magic's grand master traits but i feel like we are indirectly nerfing druid by doing so? It would turn up this way? OR like this is better? Instead of Invigorating Bond : "When under the effect of swiftness, gain 2s protection, 10s CD. Protection heals you and your pet". is there a specific reason you want to keep the protection to 3 different traits of wich you can use 2 together and why do you need to make changes to BM? I want to leave options for soulbeast openened while not gutting druid's self sustain. Maybe you are right and protect me, Protective ward and moa stance are enough. If you want to reduce protection uptime of core ranger, just remove Protective Ward. It is a stupid passive carry trait. Nerf Dura runes. Maybe change Rugged Growth back to old Barkskin so it doesn't benefit mostly boonspam builds. Don't mess with the rest of core ranger, it is mostly fine. Stat diversity allows much more build diversity in WvW and should not be removed. Adding the PvP amulet system to WvW would do more harm than good. How would it do more harm. Either say why or stop stating things like that. Stat templates (and of course no food/oil) would be a good step forward and at the same time you don't have to balance for wvw, pve and pvp at the same time. Thanks for proving my point with "build that carries". Mirage is a fine example for that. On many builds "wasting a stun break" would be considered a mistake as would be "wasting a dodge". On mirage it's not even an unconvenience, because the cd is really short. It's pretty much what "auto invulnerability" on Engi was. You failed to dodge or anticipate a deadly attack and you go tiny form. Or look at spellbreaker and full counter. You pull your full counter and the opponent is smart enough to stop attacking and still you benefit from the skills related to the counter. That should never be the case. You should be rewarded for good gameplay and on the other hand punished for bad gameplay. None of the fotm roaming classes are based on that principle, while all that are not fotm are. how is it fun to play a build that requires your opponent to have a suboptimal build or being bad enough for you to win? Your definition of fun seems to differ from most peoples. I have fun when I win fights by playing good and getting better at playing my class, not by switching classes that doesn't need me to improve. And this mindset "easy to play, easy to master" applies to most of the actual fotm roaming builds. The builds are far more important than player skills and it's getting even easier thanks to availability of stat combinations, food and broken stuff like stealth. As i mentioned, it would reduce build diversity. Builds that don't get carried by boonspam or broken mechanics rely more on specific stat combinations. Same goes for classes with low base stats (eles are basically forced to choose between wet noodle dmg and dieing when getting sneezed at in PvP). The amulet system is way too restrictive in this regard. It does not allow for a balanced middle ground stat wise. It is also entirely designed for 5vs5 conquest, where certain (tanky) stat combinations were an issue, simply due to the nature of the game mode, not because the stats itself are unbalanced. To give an example, i used to play core melee ranger (GS + S/A) in WvW. I used a mix of valk, cav and zerk gear. For burst i need high power and ferocity. But the build doesn't need a very high crit chance, due to guaranteed crits from opening strikes, so i can trade some - but not all - precison for defense, which allows me to survive in melee range without tons of defensive boons. In PvP i can only choose either of those stats, but can't mix. Valk and Cav have no precison, which guts sustained dmg and axe 5 burst. Those stats also offer bad defense, because a balanced amount of both is better than stacking one (especially on classes with low and medium base stats). And zerk is simply too glassy. Meta "dmg" amulets (demo/mara/pala) don't work very well with this build, because of too much wasted precision and not enough ferocity. With the amulet system my build is completely trash. In WvW it becomes playable without being op. Ofc it stil can't compete with stuff like boonbeast. But this has nothing to do with the gear system. Boonbeast is op in PvP too. This alone proves that the amulet system fixes nothing about those broken builds and idk why you would mention it as example to support your claim. It doesn't make sense at all. Mechanics, traits and skills are the main cause of imbalance, and the only way to adress this is to change said mechanics, traits and skills. its you who does apply universal standards to each profession instead of accepting their mechanics and playing specifically with and against them. your main point is 'good' gameplay and 'bad' gameplay. however you do not see this 'good' and 'bad' on the basis of each profession and their options. the moment you exclude factors relevant for winning from what you consider 'good' gameplay, the winner will no longer be based on 'good' gameplay for you. for me personally every choice you make that has effect on your victories is part of your gameplay and as GW2 has a relatively low amount of RNG mechanics, winning in my eyes is often based on what i consider 'good' gameplay. but this includes also buildchoice. this mainly seems to be ignored by the WvW roaming scene. most other parts of the game do include it to what is expected of decent players, they are to play a build to fullfill their role as good as possible. i dont think my definition of fun differs much. i also do like to improve and be challanged. however my definition of 'playing good' is different than yours. you only do not need to improve on those fotm professions, because a huge chunk of the community choose to play weaker builds. you dont even have to use half their potential in a 1 vs 1 encounter. they are not easier to master than anything else in the game, the difference is that you do not need to master them to win 99% of your encounters. the lack of challange (and therefor lack of reward/incentive to improve) is a community problem, not a problem of the game. overal one could say that where you see people being carried by their builds, i see other people falling victim to their own poor build choice. they are so focused on the mistakes of their opponents in the execution of their builds, that they fail to see their own great failure: their choice of build/playstyle. if they would correct that failure, they could punish the 'carried' ones for their mistakes and make the execution of the build relevant again. People are getting rekt by CoR in small scale? I mean I guess if you're fighting 1v3 and someone sneaks behind you with a CoR, but they could probably finish you off with anything. lol i dunno, it seems pretty low on the list of priorities. I agree condi mes is a disease and so is malicious backstab deadeye. The pew pew variant isn't really that awful anymore since the reveal everywhere seems to have done it a lot of bad. Not that it matters. "If it's not a raid balance issue, it doesn't exist." -- Probably the "balance" team. I use that term lightly.